Jordan, a country that has had a formal peace treaty with Israel since 1994, has seen an uptick in anti-Israel hostility. Last month, Jordan condemned the killing of a Jordanian-Palestinian attacker who was filmed stabbing an Israeli policeman multiple times before he was shot, calling it "a heinous crime." In September, Israeli police killed a Jordanian tourist who attacked with a knife. Jordan described this act of self-defense as a premeditated and "barbaric act of the army of the Israeli occupation." 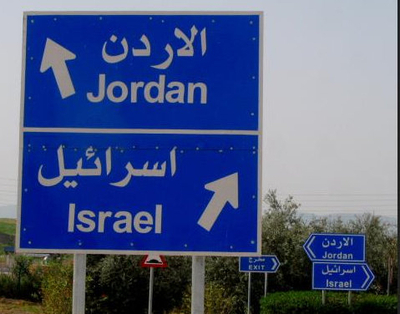 Israeli analysts disagree whether Jordan's rhetoric is a cause for concern. Since the second Palestinian Intifada broke out in 2000, Jordan's public statements often contradict private behavior, said Elad Ben-Dror, a Bar-Ilan University Middle Eastern Studies senior lecturer. Publicly, "the Jordanian parliament and press are fierce in their denunciation of Israel... Beneath the surface, however, there is a strong link and security cooperation between the two countries, especially with regard to the war on terrorism." Jordanian demographics drive the public vitriol, said Tel Aviv University Contemporary Middle Eastern History Chair Eyal Zisser. Palestinians comprise half the Jordanian population, "and because the population is conservative and very much Islamic, the regime lets the public...express anti-Israeli sentiments as a way to vent and reduce...pressure on the regime." So "cheap shots" like condemning the shooting of a terrorist in the act of trying to kill are "aimed at showing the Palestinians in Jordan [that] the Hashemites have not abandoned them," said Oded Eran, a senior research fellow at Israel's Institute for National Security Studies. "The King expects the Israeli government" to ignore such statements. And for the most part, Jerusalem does. But Israeli Prime Minister Benjamin Netanyahu recently took exception. "It is outrageous to hear the Jordanian government's speaker support the terror attack which occurred today in Jerusalem's Old City," a statement released by Netanyahu's office said. "It's time Jordan stopped playing both sides of the game. Just like Israel condemns terror attacks in Jordan, Jordan must condemn terror attacks in Israel. Terror is terror." Moreover, some anti-Israel hostility by Jordan goes beyond mere statements. In March, Jordan released Ahmed Daqamseh, a former soldier who murdered seven Israeli schoolgirls as they visited his country. His tribe gave him a hero's welcome and he called for Israel's destruction on Al-Jazeera TV. Many lawmakers and politicians had reportedly lobbied to set him free, and doing so may have been a populist move. Jordan also hosts "Al-Quds," the official TV station of Hamas, the Gaza-based terror group committed to Israel's destruction. Some experts think Israel should stop turning the other cheek. "Israel is assisting Jordan economically, providing it with fresh water and [helping] in many other areas. It is entitled and even obligated to insist that Jordan moderate its criticism and certainly that it not support anti-Israeli terrorism," Ben-Dror said. Israel should "slowly alter the rules of the game" by insisting that Jordan's monarch condemn Palestinian violence, said Bar-Ilan political scientist Hillel Frisch. "Israel has to make him sweat a little but not, of course, at the expense of his throne." "I'm glad that Netanyahu rebuked him over the attempted murder of the policeman," Frisch said. "I'd like to see more rebukes in the future, especially regarding the Waqf guards' role in incitement on Har Habayit." Under the terms of Israel's peace treaty with Jordan, the Jordanian-run Waqf Islamic religious trust administers the Temple Mount, but has been leading efforts to deny and erase any Jewish connection to the site. Last July, three members of the Islamic Waqf attacked a group of archeologists at the site. The harassment continued in January, when Islamic guards tried to remove an Israeli tour guide for calling the area the "Temple Mount," insisting that he use the Islamic term "Haram al-Sharif." While King Abdullah might have an unspoken understanding with his "Arab Street" that requires regular condemnations of Israel, the sustainability of such an arrangement remains a concern. The same Islamist forces to which he panders could eventually hobble his policy objectives, or worse. Last October, a grassroots campaign was launched by Jordanian activists to turn off the lights to protest Jordan's gas deal with Israel. The "lights-out action came on the heels of a protest march [recently] in downtown Amman that attracted an estimated 2,500 demonstrators, making it one of the largest protests in Jordan in recent years," the Jerusalem Post reported. The protests reportedly included chants against both the gas deal and Jordan's peace with Israel. Reflecting popular opposition, the lower house of Jordan's Parliament overwhelmingly opposed the 2014 gas deal. The opposition includes leading Jordanian trade unions, Islamists, and secularists. By indulging public opinion with anti-Israel rhetoric, Abdullah risks encouraging and popularizing the type of movement that could eventually topple him. Jordanian Islamists recently murdered a prominent Christian writer who faced legal charges for sharing a "blasphemous" anti-ISIS cartoon that outraged Muslim groups. Honor killings are increasing in Jordan. Last November, Jordan's highest religious authority slammed as "false and insignificant" an Israeli bill to ban the Muslim call to prayer via loudspeakers during sleeping hours throughout Israel. The Israeli bill would apply to the sound systems of all houses of worship, not only mosques, and countries like India and Egypt have enacted similar limitations. Anti-Israel hostility might be aggravated by Jordan's overall situation. Economic woes and an influx of Syrian refugees are bringing increasing instability, Israeli Ambassador to Jordan Einat Shlein warned in March. Frisch is less concerned: "I remember from [over 50 years ago] how the pundits predicted the Jordanian monarchy's imminent fall. My take is that... [King Abdullah] has money (Saudi and Gulf) and lots of intelligence and logistical support (Israel, US, British) and the more heterogeneous his population, the more room for maneuver [he has] to play the role of arbiter." Although Jordan has economic challenges, the regime is stable, Ben-Dror said. "Jordanians see what is happening in Syria and Iraq and appreciate the stability the regime provides. I think that most Jordanians want to preserve the status quo – the Hashemite regime. The combination of outside support for the country and the domestic support of its citizens guarantee its survival." Mutual interests provide some insurance for Israel-Jordan relations, Eran said. Jordan needs Israeli cooperation and expertise when it comes to "security, water and...energy... [Jordan] also needs at least a semblance of a peace process between Israel and the Palestinians to prevent unrest" among Jordanian Palestinians. Indeed, that synergy may explain why Israel's Foreign Ministry declined to comment on Jordanian hostility towards Israel. "Jordan protects Israel from the east," Zisser said. "It's better to have the Jordanians as our neighbors than to have ISIS, the Iranians, the Syrians, or the Iraqis. So security is above all, and as long as the Jordanians keep the border quiet and cooperate with Israel," the rest can be tolerated. Still, if King Abdullah views Israel as key to his regime's success, and he also needs support from the Jordanian "street" for his regime's survival, then why – despite being the most powerful figure in Jordan – has he done so little to align public opinion with his strategic objectives? If King Abdullah can order bloody crackdowns on terrorists, can't he promote more moderate thinking among the general population, by – for example – pushing the press to include fair and balanced coverage of Israel? "The King is not as powerful as one thinks," Zisser said. "There were many protests against corruption, unemployment etc., so... [he] needs to maneuver carefully." But Frisch disagreed: "Abdullah has been in the throne long enough to influence and shape public opinion rather [than] pander to it. He might be doing this deliberately to derail any peace process that might lead to a Palestinian state, which he certainly does not want. He wants Israel, as the strongest state on the block to contain Palestinian nationalism and radicalism."